Looking at this week’s key figures of the oil and gas industry in which we see that U.S. production continues to decline, but that overall U.S. crude stocks are still on the rise. The oil markets closed out the week largely where they started, trading just below $40 per barrel. In fact, prices dropped on Friday after some comments from Saudi Arabia’s Prince Mohammed bin Salman (more on that below) and expectations that the Fed could revert to a more hawkish position after a strong jobs report in the United States. The Labor Department reported that the U.S. added 215,000 jobs in March. Best performing oil companies are the thriftiest. In the first quarter, the oil and gas companies that cut their spending deeper ended up seeing their stocks outperform their peers, according to the Wall Street Journal. That is different from the past when investors preferred companies that expanded more aggressively. For example, EQT Corp. (NYSE: EQT), Continental Resources (NYSE: CLR), and Anadarko Petroleum (NYSE: APC) all slashed their 2016 spending by about 50 percent – and saw their share prices rise by 20 percent or more since they announced their spending cuts. That is much better than some of their competitors. Bankrupt shale companies still producing. More than 50 oil and gas companies in North America have declared bankruptcy since early 2015, a figure that is expected to continue to climb. But according to a Reuters analysis, drillers that have already gone into the bankruptcy process have not slowed down their oil and gas production. Magnum Hunter Resources is one example. The company increased production over the course of 2014 and 2015, right up to the point of bankruptcy in December. Since then, its 3,000 or so wells continue to produce. Bankruptcy may even provide the company with more resources by allowing it to shed its debt load. The phenomenon makes sense given that creditors want to be paid as much as they possibly can, meaning that they want drillers to continue to produce even while in bankruptcy. At the macro level, however, zombie producers could result in a protracted rebalancing for the oil markets. Saudi Arabia looks to post-oil economy. Prince bin Salman also said that Saudi Arabia is planning to build up its Public Investment Fund (PIF), a sovereign wealth fund, in order to plan for the future. The Prince said the government hopes to grow the PIF to $2 trillion in assets, and use it to help the Saudi economy transition to a world beyond oil. The partial IPO of Saudi Aramco will provide some of the funds, and the public offering could happen as soon as 2017. He expects the PIF to be the “largest fund on Earth” and it will aggressively invest in a wide range of assets around the world. “What is left now is to diversify investments. So within 20 years, we will be an economy or state that doesn’t depend mainly on oil,” he said. Rosneft weathers downturn. Russia’s state-owned oil company Rosneft posted a small increase in net profit for 2015, as the depreciation of the rouble helped offset low oil prices. Net income increased by 2 percent to 355 billion roubles (USD$ 6.1 billion). All is not well, however. Rosneft stepped up drilling dramatically in 2015 but production remained flat. Rosenft presides over some of Russia’s largest oil fields, but they date back to the Soviet-era and are slowly declining. Rosneft will require ever more investment to stop production from falling. BP’s (NYSE: BP) investments in Azerbaijan suffers from fraud and cost overruns. 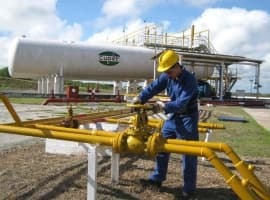 The Wall Street Journal obtained internal documents from the British oil giant, which shows that the company’s operations in Azerbaijan’s massive Shah Deniz natural gas play have not gone smoothly. One BP contractor reportedly approved $16 million in fraudulent spending for services from a shell company, according to the WSJ. Other work from a range of contractors has been delayed and resulted in cost overruns. 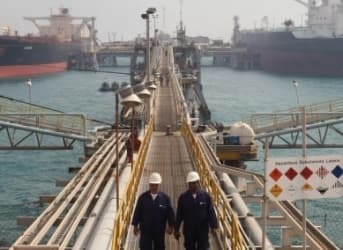 The WSJ says the experience is not unique when oil companies try to develop huge projects in corrupt countries. Related: Will Electric Vehicles Cause A Future Oil Crash? Pemex credit rating downgraded. Moody’s Investors Service downgraded Mexico’s state-owned oil company on March 31, and also cut Mexico’s sovereign credit rating outlook to negative. Pemex’s rating now sits at Baa3, one level above junk territory. Pemex has seen its oil and gas production decline steadily for more than a decade. Low oil prices forced the company to slash 2016 spending by about 20 percent, but the cuts could result in the loss of another 100,000 barrels per day in output, with production falling to 2.13 mb/d. Tesla (NYSE: TSLA) rolls out its Model 3. To much fanfare, Tesla’s CEO Elon Musk unveiled the Model 3 on March 31, the company’s first mass market electric car. The car has a range of 215 miles on one charge, and will sell for $35,000. Lines formed at Tesla dealerships around the world, as customers hoped to put a down payment on the car, which may not be delivered until 2017 at the earliest. Tesla has bet its entire company on the success of the Model 3, and the rollout has been years in the making. Meanwhile, Chevrolet is expected to beat Tesla to the punch, releasing its Bolt later this year, its less luxurious version of a mass market affordable ($35,000) electric car.